Chinese Taipei, Korea and Iran won one gold medal each, while Russia earned two silvers and one bronze. France took one silver and one bronze, while the Great Britain and Finland won one silver each. The United States got two bronze medals, while Canada, Croatia, Moldova, Ukraine and Mexico clinched one bronze each on the third day of competition. 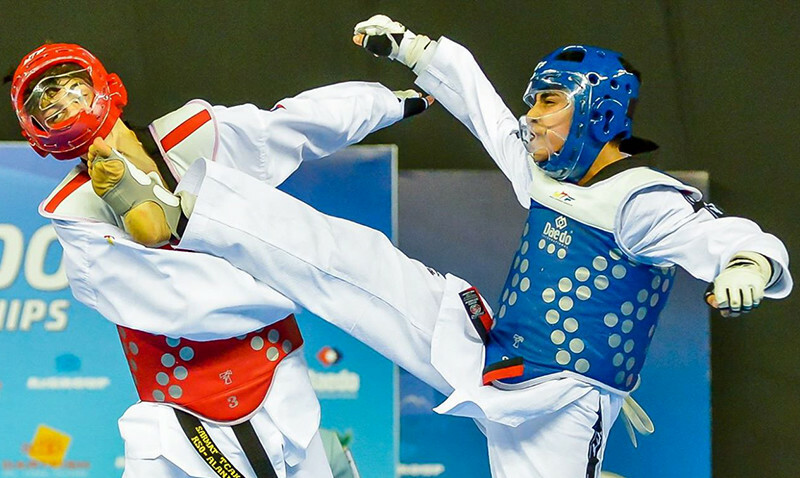 The inaugural WTF World Cadet Taekwondo Championships, which are for the youth aged between 12 and 14, take place at the National Gymnastic Arena in downtown Baku, drawing a total of 574 athletes from 65 countries. In the female -47kg final match, Chinese Taipei’s Guan Jie Wu came from behind to beat the Great Britain’s Siena Limbu Lingden 7-2 to earn her country the gold medal. In the same division, the bronze went to Turkey’s Sefa Ceren Koyuncu and Russia’s Olga Kameneva. In the female -51kg category, Turkey’s Tugba Yilmaz brushed aside a stiff challenge from her final-match opponent, France’s Imen Ben Hassine, to win the final match 6-2 for the gold medal. Canada’s Denise Laghayi and Croatia’s Ana Taslak shared the bronze medal in the same weight division. In the female -55kg final match, Turkey’s Aleyna Yilmaz easily defeated Russia’s Anna Batsaeva 12-4 to earn her country the gold medal. The bronze went to the United States’ Anya Sagovnovic and Moldova’s Irina Volocaru. In the male -53g weight division, Korea’s Ui-hyeon Lee defeated Finland’s Niko Saarinen 11-6 in the final match for the gold medal. The United States’ Joshua Liu and France’s Anthony Carre earned their respective country the bronze medal in the division. In the male -57kg weight division, Iran’s Amir Hossein Kolivand needed a fourth golden-point round to earn his country the gold medal against Russia’s Sarmat Tcakoev. At the end of the third round, the two were tied at 11-11. At the start of the fourth sudden-death round, Kolivand made a quick foot attack to the head of Tcakoev for the gold medal. Ukraine’s Yevgeniy Saigakov and Mexico’s Emiliano Cruz shared the bronze medal in the category.